Happy Memorial Day Weekend Richmond! If you are looking for beer, and I know you are, there is a bounty to choose from all over town today Saturday May 24th. Hellloooo, 3 day weekend! Because we know you have grill outs that require tasty beverages, we’re doing Steal the Vessel and Strangeways Growler refill specials now through Monday! Our special holiday hours are Sunday 12-10 and Monday 12-9 so there’s plenty of time to get your Strange. Spend some time down on the farm sipping LCCB’s Bourbon Barrel Tripel. Only 2000 bottles available for sale at the farm. 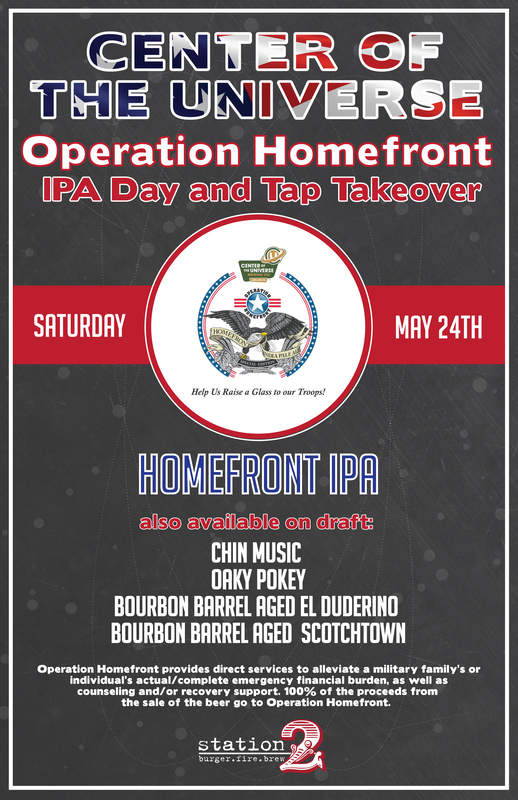 While Center of the Universe celebrates Homefront IPA Day at the brewery, the beer will make appearances at Brew’s beer school, The Bucket Trade, and a tap takeover at Station 2. Want to take one of the bats used in Homefront IPA home? COTU will be raffling them off. Yes, Hardywood is releasing Saison Rustica today at 2pm but they are also selling 200 bottles of Gingerbread Stout to celebrate being named top Richmond brewery in Style Weekly.